Joyride by Anna Banks is a stand alone contemporary novel set in sunny Florida. It follows Carly Vega, as she navigates her socially free life focusing on school while working long hours into the night so that her and her brother can save up enough money to get their parents back home. But along comes a boy and her life doesn’t seem so simple anymore. Will Carly be able to reunite with her parents again? Or will this boy that stumbles into her life put up a road block? Let’s find out! Carly Vega likes to go through life unnoticed. She does really well in school so that one day she will be able to provide for her family. Unfortunately her family does not believe that. They want her to get a job and work real hard to earn a living. Which is what her older brother is doing to save money to get their parents back over the border. Carly tries to help by working at the convenience store/gas station well into the night while still focusing on school. But after one fateful meeting with Arden Moss they spark an unlikely friendship based around Arden’s favorite thing to do; pranking. Carly learns that life isn’t all about hard work money. You have to learn how to have fun too. While Arden learns that you can only have fun for so long. You can’t keep hiding from the important things in life. So I liked the plot of the story, I really did. It was the execution that I wasn’t so fond of. There were aspects of the story that I didn’t find believable. Such as: the long hours Carly works at the convenience story at night. From the looks of things by the time she gets home she only has about an hour to sleep before she has to get read for school. I find it unrealistic that she can survive on sleeping for hour before school and couple hours after school. I also felt like the story was a bit rushed in a way that it ended too abruptly. I didn’t get as much closure as I would have liked and it left too much to imagination. Banks’ writing was good. There was nothing in particular that I liked, but nothing that I didn’t either. It was just alright for me. I feel like she could have done more with the ending. The characters were well written and well developed though, so I was happy about that. Carly was pretty enjoyable as the main protagonist. We get to learn a lot from her as a person and the way she views life. She missed out on having a childhood that most other kids get to have, and now she is missing out on her prime teenage life as well. A girl her age shouldn’t have to work as hard as she does just to provide for her family. Arden on the other hand was extremely carefree. He hides a lot of his emotions that were tied to his sister’s death and compensates with silly pranks and other juvenile adventures. He keeps trying to fill the void that his sister once lived that misconstrues the views other people have on him. He was quite the gentlemen though regardless of all the man-whore rumors floating around school. Although both characters were polar opposites, they complimented each other well. They both had lessons to be learned from each other. Carly needed to learn how to relax and enjoy life a little more, while Arden on the other hand needed to learn how to focus and do something productive with his life. I thought the setting was interesting. It really shows two drastic sides of the money making spectrum. Carly’s home life is in a trailer park. She relies on her bike for transportation and has to rent the school’s laptop from the library. Arden lives in a big house, drives a nice truck, and doesn’t have to work to earn money. The setting of the story really sets up the tone of the story and personalities of the characters themselves. I wish there was more “Joyriding” in the story though. I feel like they only did that a couple times, so not enough to warrant the titling the story after it. In conclusion, Joyride by Anna Banks was enjoyable, but probably not memorable. It didn’t leave me with exciting feelings like other books did. I just shrugged my shoulders and moved on. As a contemporary it was great, just not the best that I’ve read. So what did you think? Did it end too quickly? Do you wish there was more insight into what happens next? Let me know down below! 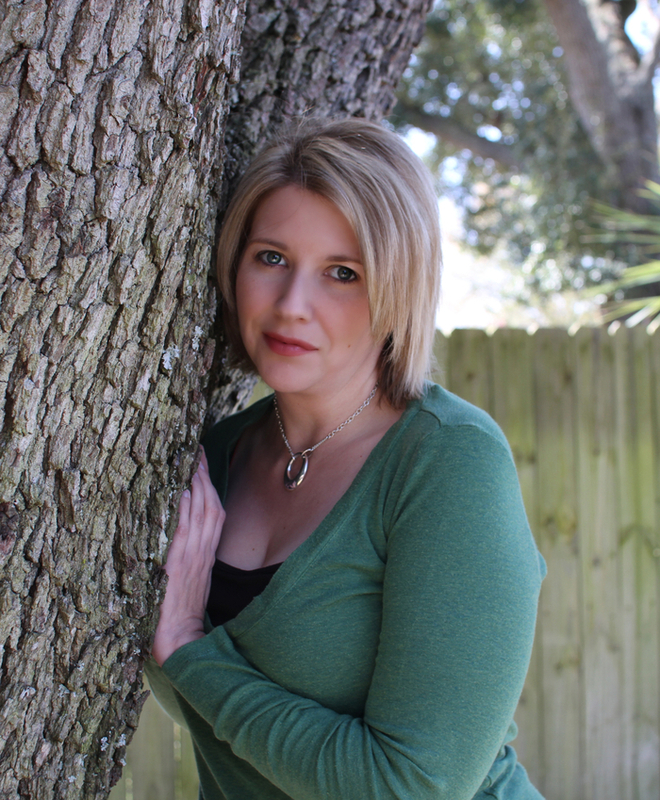 Anna Banks, New York Times Bestselling author of The Syrena Legacy series. This entry was posted in Menu and tagged Anna Banks, Contemporary, Feiwel & Friends, Fiction, Review, Romance, September, Young Adult. Bookmark the permalink. I’ve read the syrena legacy and really enjoyed it. I may buy this one, one day ! Great review Jesse !